Craving some kadak Chai this winter ? This is an authentic, rich Indian Chai you will ever have ! I am from India, and was brought up with the culture of starting the day with Chai where your mornings are incomplete without Chai, the day is dull and all the morning kick has just died ! Today, I am sharing this fail-proof recipe where the end result is a delicious cup of read-deal Chai ! Since I started keto, I missed Chai badly but still made it with cream and water with the tea powder. To be honest, I have seen some people enjoy it but for me it was an absolute disaster. It had an empty feeling with no milky taste but a really ridiculous aftertaste of cream, and it was something I hated ! Recently, I started experimenting with some flavours and ingredients, and as the winter is here; I needed a right cup of chai very badly. So what could be used to get that milky rich flavourful Chai ?? Cream was out of question , only thing on my mind was Milk powder which is obviously not keto ! So, my invention of adding unflavoured whey to the Chai ! And trust me, it does miracles to it ! So claps for me, yayy !! 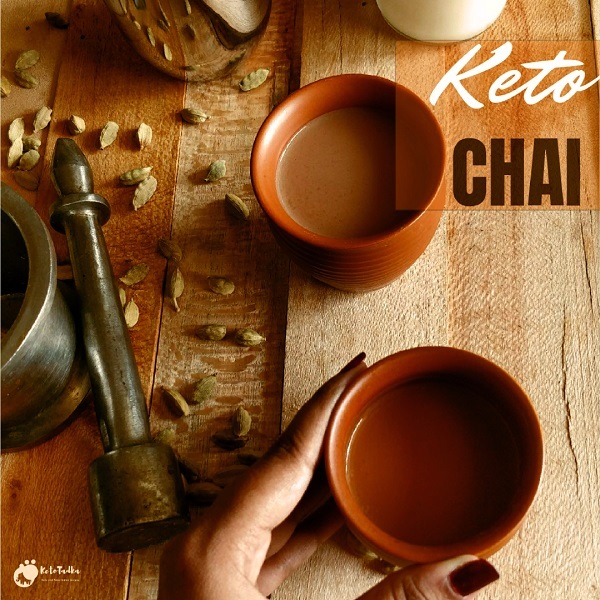 So, let us get to the recipe and you should really make a perfect cup of this Dairy free Chai tea latte / Keto Bulletproof chai tea latte right away ! Take a mortar and crush the ginger and cardamom. These two are the USP of a great Chai. Do not skip this. In a pan, add almond milk, whey, water, tea powder and the crushed ginger and cardamom. Mix well. Bring it to 3 boils, add the sweetener, wait for one more boil. Remove from the flame and strain the tea ! Enjoy !! Want it to be dairy free ? Skip the cream and double the whey. Want it to be bulletproof and do not want coconut oil? Add a tbsp of butter. The chai tastes amazing..exactly like the usual tea with milk. Hey Nimisha, thank you ! I am sure you enjoyed ! Yours is the blog I have been looking for all this while! 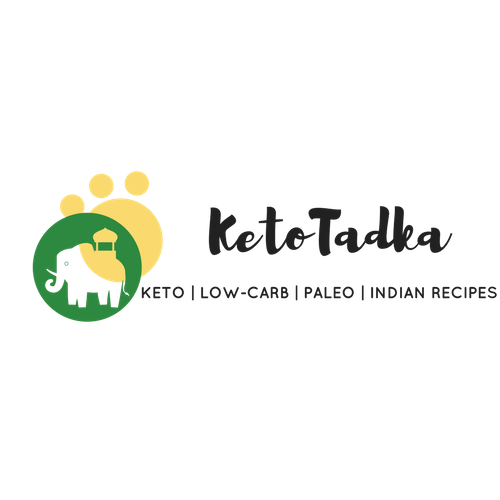 Love your desi conversions in keto. I have finally found recipes I can use to get real food inside of me. Will try this chai soon. – Your sister from across the border!